Consisting of 12 units ranging from 1,875 to 2,300 sq. ft., Ailwin Road is situated on the eastern side of Bury on the Moreton Hall Industrial Estate. The units are of concrete frame construction and cavity brick walls with pitched insulated roofs. Each unit has a roller shutter door, rear fire exit with ample parking available. 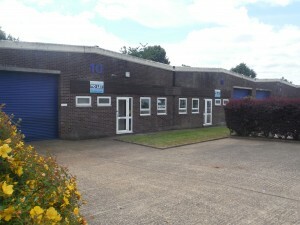 With excellent access to the A14 and approximately 2 miles from the town centre, Ailwin Road is in a popular location.